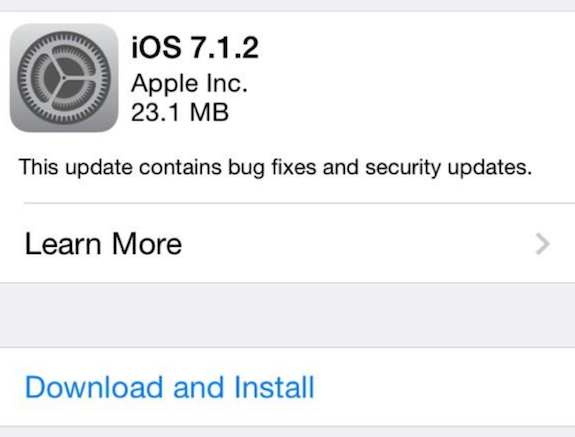 iOS 7.1.2 IPSW download is now available for iPhone, iPad and iPod Touch. Apple has released iOS 7.1.2 build 11D257 to supported iPhone, iPad and iPod Touch devices, as it was expected. You can download iOS 7.1.2 IPSW files from the direct download links at the bottom. iOS 7.1.2 firmware update brings improved iBeacon connectivity and stability, data transfer bug faced by certain third party accessories has been fixed, and a major Mail attachment privacy issue has also been addressed. If you’re currently jailbroken on iOS 7.1.1, you’ll be delighted to know that the Chinese jailbreak Pangu works out of the box with iOS 7.1.2. It’s safe to update to iOS 7.1.2 and then jailbreak with Pangu jailbreak tool. Just like iOS 7.1.1, Pangu provides untethered jailbreak for iOS 7.1.2 as well.